There is a lot of prestige to have an A-List Hollywood actor appear in commercial selling your product. This is likely one of the reasons that brands continue to hire celebrities for Super Bowl ads. The biggest names so far include Liam Neeson, Christopher Walken, Amy Schumer and Seth Rogan. 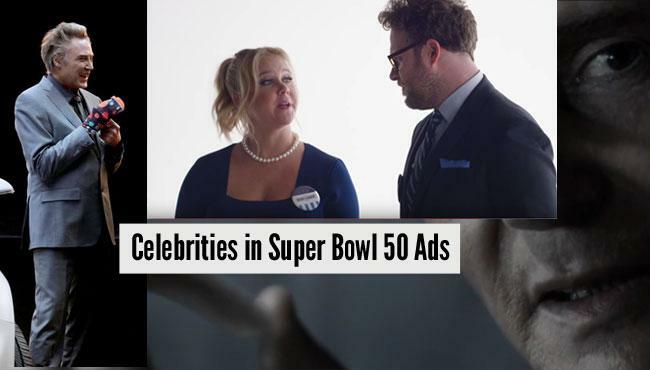 The Mini Super Bowl 50 Ad has the most celebrities confirmed so far. The Mini commercial will feature six celebrities. 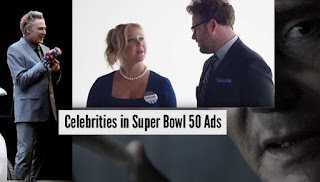 Find the complete list of celebrities and in which Super Bowl 50 commercial they appear in below.